There was good news recently in Washington. Six new directors joined the board of the US Government agency, the National Endowment for Democracy (NED). The six included such stalwart democrats like former NATO Supreme Commander Wesley "Demented Bomber" Clark, former Assistant Secretary of State Richard Holbrooke and Francis Fukuyama, who since his 1989 National Interest article "The End of History" has been ideologist-in-chief of post-Cold War neoconservatism.. Another new member is someone by the name of Julie Finley, described in the NED handout as "a prominent Republican Party activist who, as a Founder and Board Member of the US Committee on NATO, has worked actively on issues related to NATO expansion and the conflict in the Balkan region." A NATO expansionist and a Balkan activist – it does not sound as if "democracy’ is high on her agenda. Last year we learned that upon her departure from Foggy Bottom, Madeleine "Hideous Harridan" Albright would become president of the National Democratic Institute, an organization the NED bankrolls. Of the six, NED president Carl Gershman declared: "This group offers an incredible breadth of experience in foreign policy and American politics. We are incredibly fortunate that such a group of distinguished citizens will be supporting and helping to guide NED in its mission to promote democracy around the world." We know the political creed of these "distinguished citizens": They are all fanatically devoted to the following propositions: That the United States is the last stop on humanity’s historic journey. That the United States has the right, even the duty, to do whatever is necessary to persuade humanity of the truth of this insight. That through their lucrative business connections they intend to make a huge sum of money for themselves and their friends by promoting a US-sponsored "pro-business" and "pro-democracy" agenda. That whatever the United States does, no matter how barbaric. The NED is one of the many institutions of the Cold War that not only managed to survive the fall of the Soviet Union, but also to grow in power and prestige. Americans are barely aware of its existence or, if they are, the magic word "democracy" in its name frees it from serious scrutiny. Founded in 1983, the NED took over functions that were once the responsibility of the CIA. During the early decades of the Cold War, the CIA would intervene in the domestic affairs of other countries with the objective of thwarting Communist influence. In "democratic" European countries the CIA would covertly promote center-left political parties, non-Communist trade unions and even highbrow journals. In "non-democratic," usually non-European, countries CIA operations tended to be a little nastier. Following the embarrassing revelations about the CIA during the 1970s, a lot of its hitherto covert operations now received open Congressional appropriations. The NED thus became the successor organization to the CIA covert operations arm once run by the likes of William Colby and Frank Wisner. During the Cold War, the US government acquired some very bad habits. One of them was an eagerness to interfere in the domestic affairs of other countries. With supreme arrogance, the NED decides to bankroll certain foreign politicians and to undermine others. Politicians who pursue policies favored by Washington will receive US largesse. Those who pursue policies frowned on by Washington will find themselves the object of a campaign of vilification, originating in Washington and transmitted back via the well-oiled NED machine. It is important that we remind ourselves that in the United States any organization in receipt of money from a foreign government must register as a foreign agent. It is illegal for foreign governments to contribute to an American political party. Evidently, different standards are expected of others. The NED’s commitment to democracy is the same as that of the US government. Elections are deemed "democratic" when they result in the victory of people favored by Washington. They are deemed "undemocratic" when they result in the election of people out of favor in Washington. Before the elections last September in Yugoslavia, the US Government made it clear again and again that a victory by Milosevic would only have come about through fraud. In other words, irrespective of how anyone voted, Washington would only accept one result as the "democratic will of the people." The extent of the NED involvement in pre-Kostunica Yugoslavia was revealed in the 1998 testimony of Paul McCarthy before the Commission on Security and Cooperation in Europe. McCarthy, a program officer at the NED, boasted that, among the many recipients of NED moolah were "the newspapers Nasa Borba, Vreme and Danas, an independent TV station in eastern Serbia, TV Negotin, the prominent news agency BETA, and the important Belgrade station, Radio B-92." Naturally, such media are always described in the NED literature as "independent." One of the organizations currently being bankrolled by the NED is the Serbian "youth" organization Otpor. According to the NED, it has been doing so since August 1999. Recently, the NED and the International Republican Institute (IRI), which is also funded by the NED, jointly sponsored a forum for Otpor leaders. According to NED literature, Otpor’s notorious "he is finished" posters "helped to galvanize public opinion against Slobodan Milosevic. Otpor’s enormous get-out-the-vote campaign made a critical difference in helping Vojislav Kostunica defeat Milosevic at the ballot box… Subsequently, Otpor’s activists played a crucial role in the street demonstrations that followed the elections and led to Milosevic’s ultimate downfall on October 5." NED goes on to say that Otpor will continue to do "grassroots political work as a watchdog that will exert pressure on the new government to quickly implement democratic reforms they view as crucial to Yugoslavia’s return to life as a ‘normal’ country." The NED does not specify what "grassroots" work entails. However, it explains, "this extensive grassroots network can work to fill the political vacuum that was created when the Democratic Opposition of Serbia defeated Milosevic, and was left with no serious political rival. Without any ‘loyal opposition’ to pressure the new regime, Otpor intends to keep important reform issues in front of the public and Serbia’s new leaders to make sure that democratic progress continues." Note the repeated emphasis on "grassroots" activism along with the vague nature of the organization’s goals. "Reform," "democratic progress," "normal country" – the NED invariably uses such vacuous trivia to disguise its true agenda. "At its second National Congress," the NED enthuses, "Otpor…outlined six key areas of reform that the group will monitor, including economic reform, judicial reform, reform of the state security forces, creation of a truly independent media sector, reform of the university and educational system and foreign policy." Sounds like a tall order. Which direction Otpor wants to push these institutions is not spelled out. However, it comes as no surprise when we soon learn that "Otpor’s first major campaign was a nationwide effort to pressure the regime to arrest Slobodan Milosevic." Imagine! So many things to reform! So little time to do it! Yet even so Otpor’s first priority is also that of Washington. Otpor, continues the NED, "cited concrete examples of major hurdles the new regime must overcome, including the need for more than 800 experienced judges; the creation of a police and security force not led and staffed by officers loyal to Milosevic; the establishment of an official Truth Commission to document the crimes of the Milosevic regime and its cronies against Serbs and others; and the creation of a graduate program to provide training for a new generation of civil servants." Let us examine this list item by item. How does Otpor know that Serbia requires 800 – as opposed to 500 or 2000 or 5 – experienced judges? Moreover, "experienced judges" cannot be manufactured out of thin air since they are the products of, well, experience, which takes years, if not decades, to acquire. What exactly is "experience," by the way? Presumably, the courts in Serbia have been adjudicating disputes and punishing miscreants much like anywhere else. Evidently, those are not the judges Otpor and the NED are talking about. One must assume, therefore, that Otpor is essentially calling on the United States to insist on the appointment of its own judges. This is revealed by the remaining items on the agenda. The police and security forces are to be purged of all elements "loyal to Milosevic." What constitutes "loyalty" is not spelled out. However, given that Milosevic had been in power in Serbia for 13 years, Otpor and its US sponsors evidently envisage a wholesale change of staff. Note that the sole purpose of the "Truth Commission" will be to "document the crimes of the Milosevic regime and its cronies against Serbs and others." This is clearly very different from the objective of the Truth Commission of South Africa, which had sought to compile a record of crimes committed by all sides. Moreover, in order to discover the "truth" about the past, the Desmond Tutu’s Commission had offered immunity from prosecution to anyone who came forward and openly admitted to wrongdoing. Yet with all the talk of creating spanking-new security services, appointing 800 new judges, not to mention the arrest and prosecution of Milosevic, the last thing Otpor and its US controllers have in mind is the establishment of "truth." The only crimes being talked about are either ones committed by Milosevic of ones committed by Serbs against "others." The British Helsinki Human Rights Group has a very different take on Otpor. Its recent report about the December parliamentary elections in Serbia, describes how Otpor’s "He’s finished" campaign was "followed up with a similar poster campaign…consisting of the slogan ‘Overi!’ or ‘Be sure’ – ie that he is finished off. The ‘Overi!’ slogans were printed in a rather sinister way, in menacing black letters and sometimes with Slobodan Milosevic’s face. It is a matter of considerable concern that ‘Overi’ is Mafia slang for the three shots which contract killers pump into an already dead body in order to be sure that the victim has, indeed, been finished off. It hardly bodes well for Serbian democracy that such vocabulary is associated with the new era." Indeed. It is even more disturbing that US taxpayers should underwrite such blatant threats of violence. The BHHRG report goes on: "Otpor also ran a poster campaign with the equally sinister slogan, ‘We are watching you,’ an apparently direct reference to George Orwell’s 1984. The motif of these posters is a bulldozer, a reminder of the heroic vehicle that headed the ‘march on Belgrade’ from Cacak on October 5; it also, no doubt, emphasizes the DOS’ attitude towards its opponents. The Socialists have alleged that menacing leaflets of this nature have been sent to the homes of Socialist Party activists. Finally, Otpor has not hesitated to recruit underage persons for its purposes, an action which is strictly incompatible with the duty of political organizations not to exploit the young." This then is what the NED is pleased to call "grassroots political work." The task the Us Government has assigned to Otpor is to act as the local bully scaring people into not voting for the socialists or the nationalists. What remains interesting is why the US Government continues to underwrite Otpor. The goals it outlines are also the goals of the Djindjic regime. So why the duplication of beneficiaries? Evidently, Washington does not trust the new regime in Belgrade. Therefore, an alternative regime has to be manufactured and kept on the sidelines. Should Belgrade once again fall out of favor in Washington, there will be new leaders to champion. Doubtless, the NED is already grooming the next "Djindjic." "Yugoslavia," warns the NED, "risks the same fate as its neighbor Romania, which had an important democratic election, but failed to consolidate its democratic gains and soon slipped back into a political culture of nationalism where reformers became divided, were corrupted, and eventually were defeated by former communists." This then is the warning the United States is issuing to all its clients. Do not dare to vote for the "old" parties and slip back into the "political culture of nationalism"! Or we will unleash our paid thugs. This then is "democracy" as the National Endowment for democracy understands it. Occupy Wall Street and “The American Autumn”: Is It a “Colored Revolution”? There is a grassroots protest movement unfolding across America, which includes people from all walks of life, from all age groups, conscious of the need for social change and committed to reversing the tide. The grassroots of this movement constitutes a response to the "Wall Street agenda" of financial fraud and manipulation which has served to trigger unemployment and poverty across the land. Does this movement constitute in its present form an instrument of meaningful reform and social change in America? What is the organizational structure of the movement? Who are its main architects? Has the movement or segments within this movement been co-opted? This is an important question, which must be addressed by those who are part of the Occupy Wall Street Movement as well as those who, across America, support real democracy. "In a bitter irony, part of the fraudulent financial gains on Wall Street in recent years have been recycled to the elites’ tax exempt foundations and charities. These windfall financial gains have not only been used to buy out politicians, they have also been channelled to NGOs, research institutes, community centres, church groups, environmentalists, alternative media, human rights groups, etc. The inner objective is to "manufacture dissent" and establish the boundaries of a "politically correct" opposition. In turn, many NGOs are infiltrated by informants often acting on behalf of western intelligence agencies. Moreover, an increasingly large segment of the progressive alternative news media on the internet has become dependent on funding from corporate foundations and charities. At the same time, "manufactured dissent" is intent upon promoting political and social divisions (e.g. within and between political parties and social movements). In turn, it encourages the creation of factions within each and every organization. Most of the progressive organizations of the post-World War II period, including the European "Left" have, in the course of the last thirty years, been transformed and remoulded. The "Free Market" system (Neoliberalism) is the consensus of the "Left". This applies, among others, to the Socialist Party in France, the Labour Party in Britain, the Social Democrats in Germany, not to mention the Green Party in France and Germany. In the US, bi-partisanship is not the result of the interplay of Congressional party politics. A handful of powerful corporate lobby groups control both the Republicans and the Democrats. The "bi-partisan consensus" is established by the elites who operate behind the scenes. It is enforced by the main corporate lobby groups, which exert a stranglehold over both major political parties. In turn, the leaders of the AFL-CIO have also been co-opted by the corporate establishment against the grassroots of the US labor movement. The leaders of organized labor attend the annual meetings of the Davos World Economic Forum (WEF). They collaborate with the Business Roundtable. But at the same time, the grassroots of the US labor movement has sought to to carry out organizational changes which contribute to democratizing the leadership of individual trade unions. The elites will promote a "ritual of dissent" with a high media profile, with the support of network TV, the corporate news as well as the internet. The economic elites — which control major foundations — also oversee the funding of numerous civil society organizations, which historically have been involved in the protest movement against the established economic and social order. The programs of many NGOs (including those involved in the Occupy Wall Street Movement) rely heavily on funding from private foundations including the Ford, Rockefeller, MacArthur, Tides foundations, among others. Historically, the anti-globalization movement which emerged in the 1990s has opposed Wall Street and the Texas oil giants controlled by Rockefeller, et al. Yet the foundations and charities of Rockefeller, Ford et al have, over the years, generously funded progressive anti-capitalist networks as well as environmentalists (opposed to Big Oil) with a view to ultimately overseeing and shaping their various activities. In the course of the last decade, "colored revolutions" have emerged in several countries. The "colored revolutions" are US intelligence ops which consist in covertly supporting protest movements with a view to triggering "regime change" under the banner of a pro-democracy movement. "Colored revolutions" are supported by the National Endowment for Democracy, the International Republican Institute and Freedom House, among others. The objective of a "colored revolution" is to foment social unrest and use the protest movement to topple the existing government. The ultimate foreign policy goal is to instate a compliant pro-US government (or "puppet regime"). US Secretary of State Hillary Clinton speaks with "Egyptian activists promoting freedom and democracy", prior to meetings at the State Department in Washington, DC, May 28, 2009. Dissidents of Egypt’s April 6 Youth Movement, which, for several years, was in permanent liaison with the US Embassy in Cairo, were trained by Serbia’s Centre for Applied Non Violent Action and Strategies (CANVAS), a consulting and training firm specializing in "Revolution" supported by FH and the NED. CANVAS was established in 2003 by OTPOR, a CIA supported Serbian organization which played a central role in the downfall of Slobodan Milosevic in the wake of the 1999 NATO bombing of Yugoslavia. Barely two months after the end of the 1999 bombings of Yugoslavia, OTPOR was spearheaded into playing a central role in the installation of a US-NATO sponsored "caretaker" government in Serbia. These developments also paved the way towards the secession of Montenegro from Yugoslavia, the establishment of the US Bondsteel military base and the eventual formation a Mafia State in Kosovo. "In the summer of 1999, the head of the CIA, George Tenet, set up shop in Sofia, Bulgaria to “educate” the Serb opposition. Last August. 28 , the BBC confirmed that a special 10-day class had been given to the Otpor militants, also in Sofia. The CIA program is a program in successive phases. Early on, they flatter the Serbs’ patriotism and spirit of independence, acting as if they respect these qualities. But after having sown confusion and broken the unity of the country, the CIA and NATO would go much further." OTPOR’s Centre for Applied Non Violent Action and Strategies (CANVAS) describes itself as "an International network of trainers and consultants" involved in the "Revolution Business". Funded by the National Endowment for Democracy (NED), it constitutes a consulting outfit, advising and training US sponsored opposition groups in more than 40 countries. 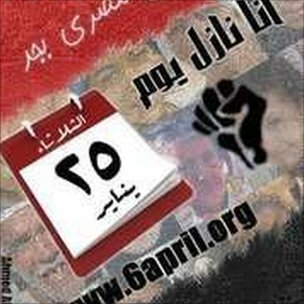 OTPOR played a key role in Egypt. Egypt Tahir Square: What appeared to be a spontaneous democratization process was a carefully planned intelligence operation. View video below. It is worth noting the similarity of the logos as well as the names involved in CANVAS-OTPOR sponsored "Colored Revolutions" The April 6 Youth Movement in Egypt used the clenched fist as its logo, Kifaya ("Enough!") has the same name as the Youth Protest movement supported by OTPOR in Georgia which was named Kmara! ("Enough!"). Both groups were trained by CANVAS. CANVAS-OPTOR is currently involved in the Occupy Wall Street Movement (#OWS). In May 2011, "Anonymous" waged cyberattacks on Iran and last August, it waged similar cyber-attacks directed against the Syrian Ministry Defense. These cyber-attacks were waged in support of the Syrian "opposition" in exile, which is largely integrated by Islamists. (See Syrian Ministry Of Defense Website Hacked By ‘Anonymous’, Huffington Post, August 8, 2011). Both CANVAS and Anonymous are now actively involved in the Occupy Wall Street Movement. The precise role of CANVAS in the Occupy Wall Street Movement remains to be assessed. Ivan Marovic, a leader of CANVAS recently addressed the Occupy Wall Street protest movement in New York City. Listen carefully to his speech. (Bear in mind that his organization CANVAS is supported by NED). This statement by OTPOR’s spokesperson Ivan Marovic would suggest that the protest movements in the Arab World did not spread spontaneously from one country to another, as portrayed by the Western media. The national protest movements were planned well in advance. The chronology and sequencing of these national protest movements were also planned. Similarly, Maravic’s statement also suggests that The Occupy Wall Street movement was also the object of careful advanced planning by a number of key organizations on tactics and strategy.